We close today’s analysis with the postponement of the thirteenth day of the championship in Spanish Liga 2, which sees Gimnastic and Zaragoza enter the field. 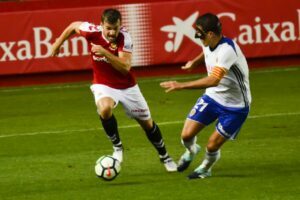 The hosts are currently the last in the standings with nine points (eight goals scored, worst attack, and twenty suffered), like the Extremadura and recovering from three losses and a victory in the last four races played. The guests, however, are currently nineteen with eleven points (twelve goals scored and fifteen conceded), like the Cordoba and harnessed in the fight not to recede, also because of a series of negative results achieved in recent races (five losses and three draws) . Zaragoza play better away and could take away some heavy points today.